Dr. Zhang earned her medical degree from the Medical School of Wuhan University in Wuhan, China where she also earned a M.S. in Clinical Neurology. She went on to earn a Ph.D. from the Institute of Biochemistry, Johannes Gutenberg-Univeritaet Mainz in Mainz, Germany. 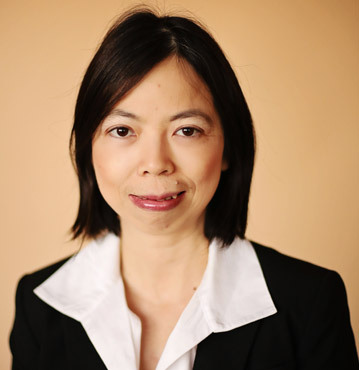 Dr. Zhang completed her residency at 1st Affiliated Hospital of Wuhan University and also completed a residency with the University of Tennessee Health Science Center where she also completed a neurophysiology fellowship. She is certified by the American Board of Psychiatry and Neurology for both neurology and clinical neurophysiology. She is also certified by American Board of Electrodiagnostic Medicine. Prior to joining Wesley Neurology in 2017, Dr. Zhang was attending physician with ZhongDa Hospital of Southeast University and the Reming Hospital of Wuhan University, both in China. She also held a research fellowship with the Max Planck Institute for Neurological Research in KÃ¶ln, Germany.